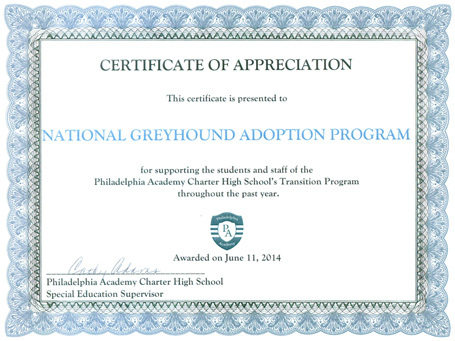 Most people are not aware, but National Greyhound Adoption Program takes part in Philadelphia Academy Charter School's Transition Program. Each week the school brings between one and four students with Autism Spectrum Disorder, Cerebral Palsy, Turrets Syndrome and other conditions to our office to perform a variety of tasks such as paper shredding, photo scanning, wall painting and dog walking. These seemingly simple tasks are often challenging for these high school students and this wonderful program allows them to learn new skills, build confidence and practice their social skills in our low-stress office and kennel atmosphere. We benefit from the students by having their hands to aid us in time-consuming tasks our office staff doesn't always have time to get to. The ultimate goal of the Transition Program is to prepare these young men and women to successfully integrate into the workforce after graduation. One of the graduates from PAC's Transition Program has continued to volunteer with our organization for the past two years. 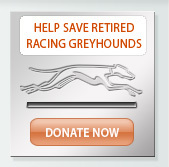 He spends an hour in the kennel a few days a week cleaning bowls and feeding and visiting with our greyhounds. On June 11, 2014, National Greyhound Adoption Program was presented with a certificate for our fourth year of participation with this program. This year we had four students helping us out in our office. Although some will graduate and move on, we expect that a few will return to volunteer with us next year as well as see a few new faces. We enjoy having these students in the office and wish much success to those that are graduating in all their future endeavors. 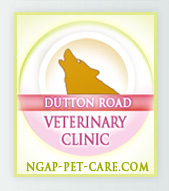 This is not the only way NGAP interacts with the community. 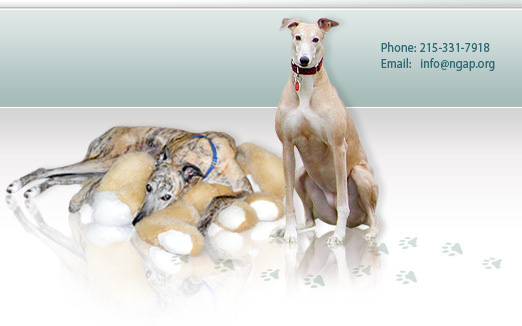 During the course of the year, we host several classes of students from area schools who walk our dogs, tour our kennel and clinic, and talk with our Director or other staff members about greyhounds. Additionally, we also host groups from corporate entities for their annual 'service days'. GlaxoSmithKline has been a great supporter of our program and brings a significant group of employees to volunteer a 'day of service' to us each year. Believe me, we keep them working! At the end of the day, everyone gains.